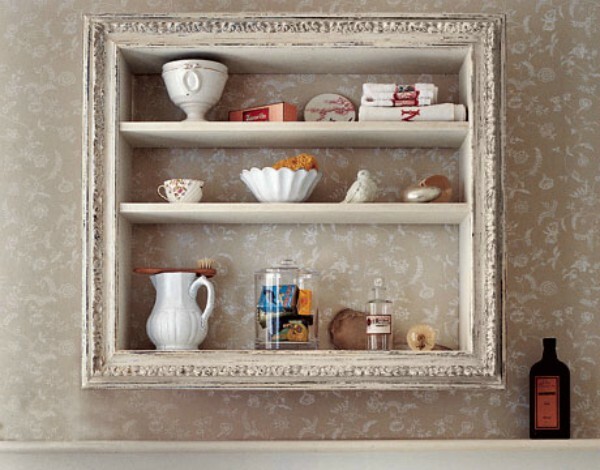 Check out these 17 ways to upgrade old picture frames. 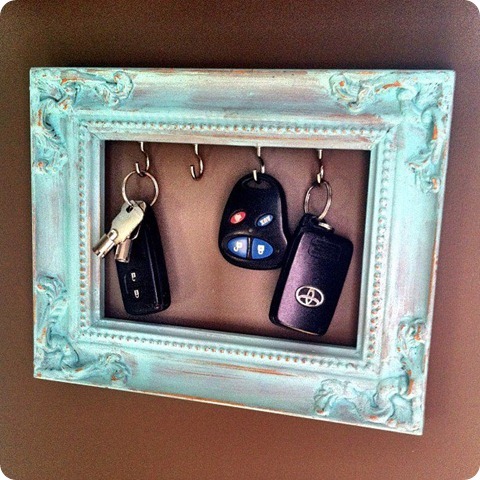 These ideas are simple and fun DIYs to create. 1. 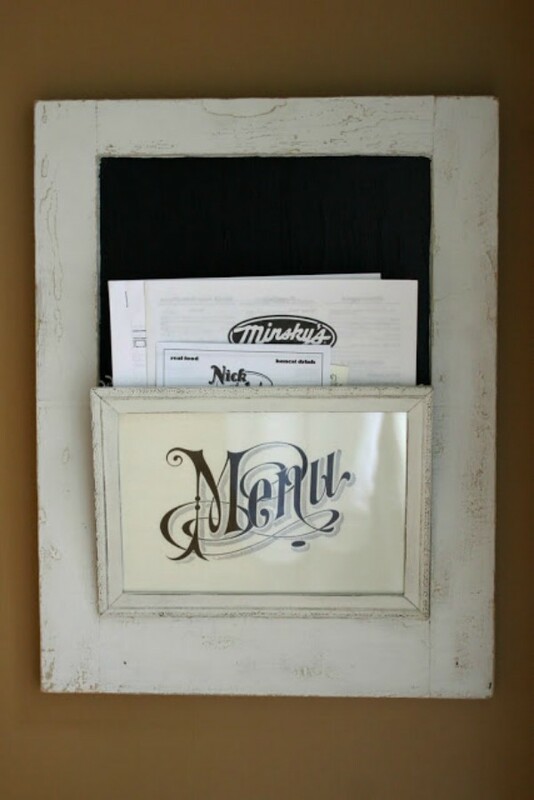 Upgrade a framed mirror. Bonus points for stenciling in a message like this one! 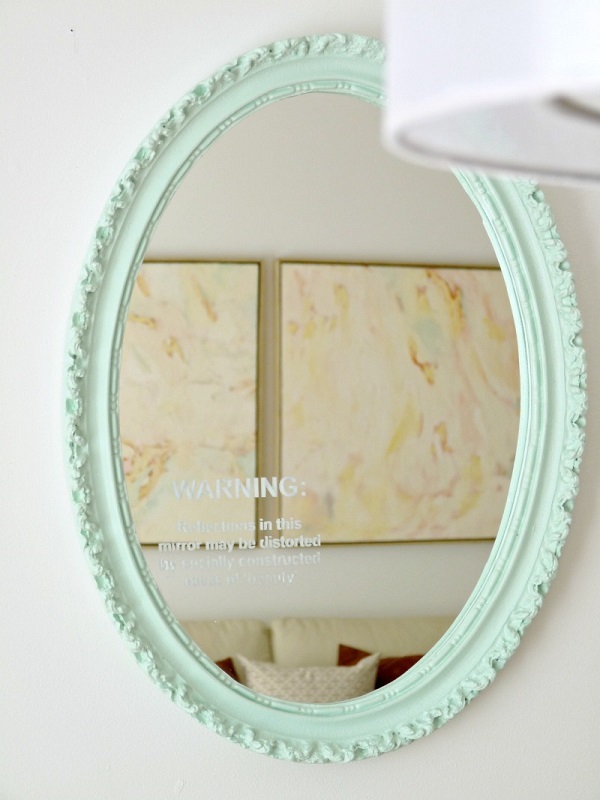 It reads: “Warning: Reflections in this mirror may be distorted by socially constructed ideas of ‘beauty.’” Head over to Dans Le Lakehouse to find out how to recreate the look. 2. Make some refrigerator magnets. 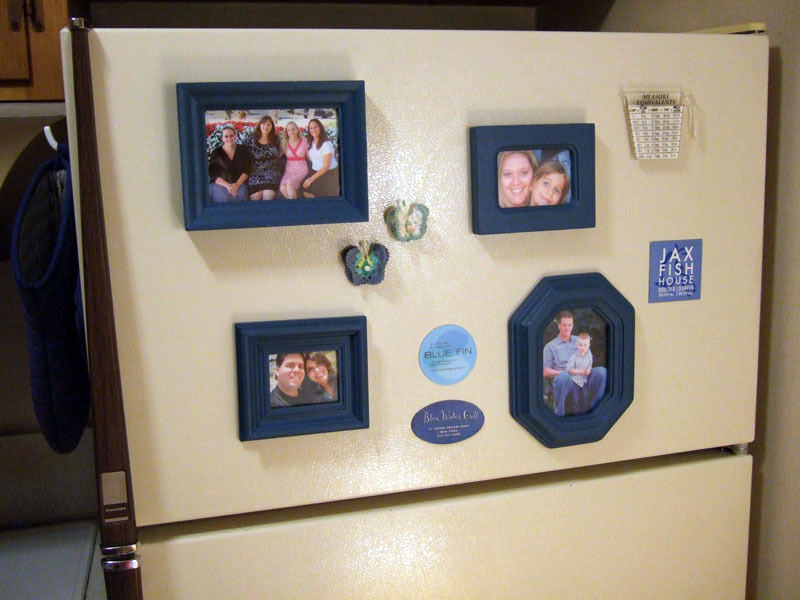 These started out as old, mismatched frames, but with some paint and hot glue, this mom turned them into the focal point of the kitchen. Click here to see how she did it. 3. 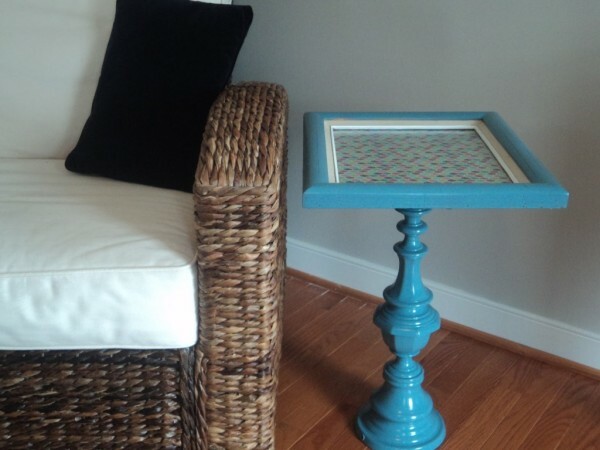 Create the coolest side table on the block. No one will guess that you made it from an old lamp and a picture frame. The Richmond Thrifter has all the details. 4. 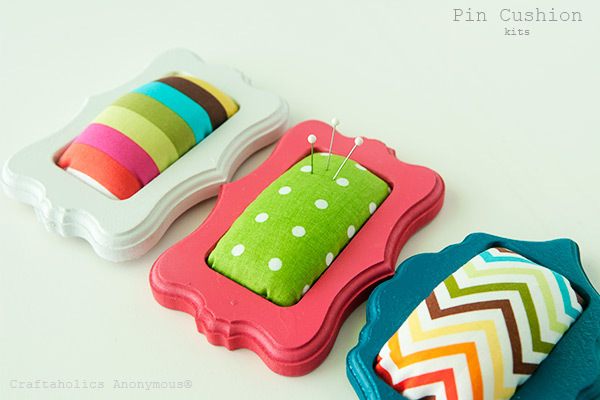 Put together some perfectly cute pin cushions. It’s a DIY that gets you ready for MORE DIYs! No wonder it was found on a website called Craftaholics Anonymous. 5. Make a menu board. If you have a drawer overflowing with take-out and delivery menus, this one is for you. It takes two frames to get the job done, but font choices and colors are totally up to you. 6. 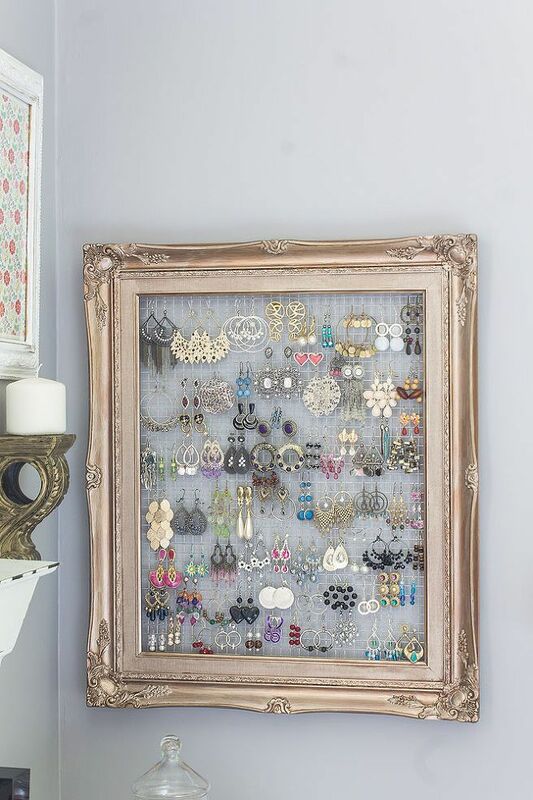 Frame your jewelry collection. Jewelry is a work of art all its own – so why not frame it? 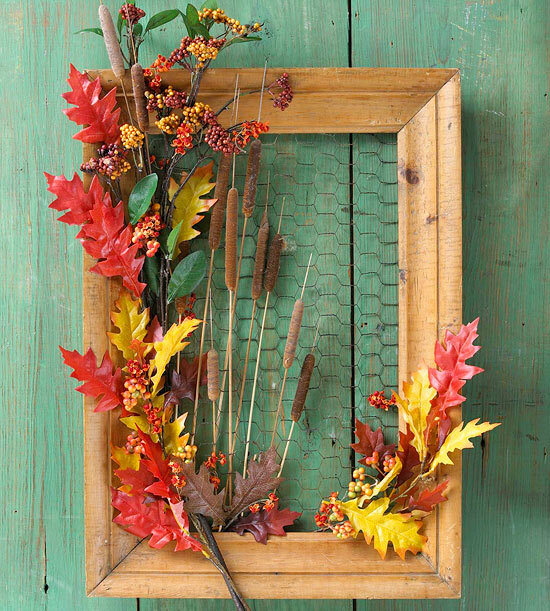 As HomeTalk explains, all you need is an old frame and some chicken wire. Fall has passed us by, but the same idea works for Valentine’s Day, Easter, or any season in general! Just use flowers and other accents to make this project your own. 8. Create a fancy chalkboard. 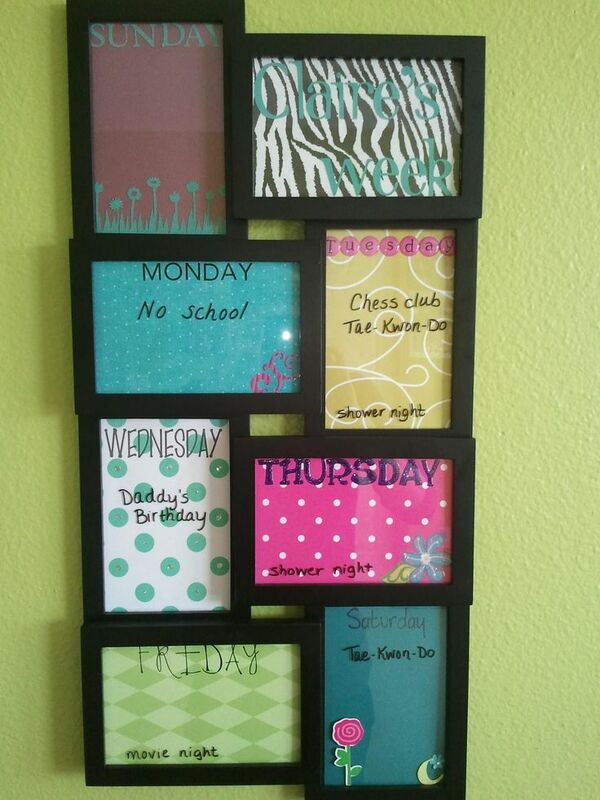 This is great for keeping track of your schedule, grocery list, meal plans, and more. Head over to Crate and Babbel to see how it’s done. 9. 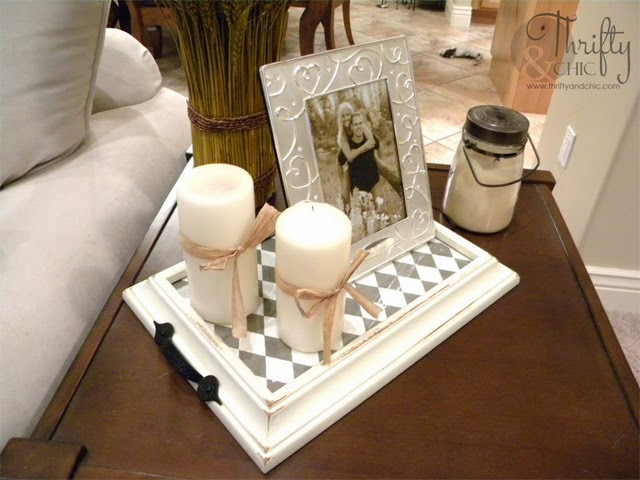 Add style to your space with a customized tray table. No wonder her blog is called Cute and Thirty – this project is definitely both! Considering it started out as a $2 frame, this really can’t be beat. 10. Make a design all your own. 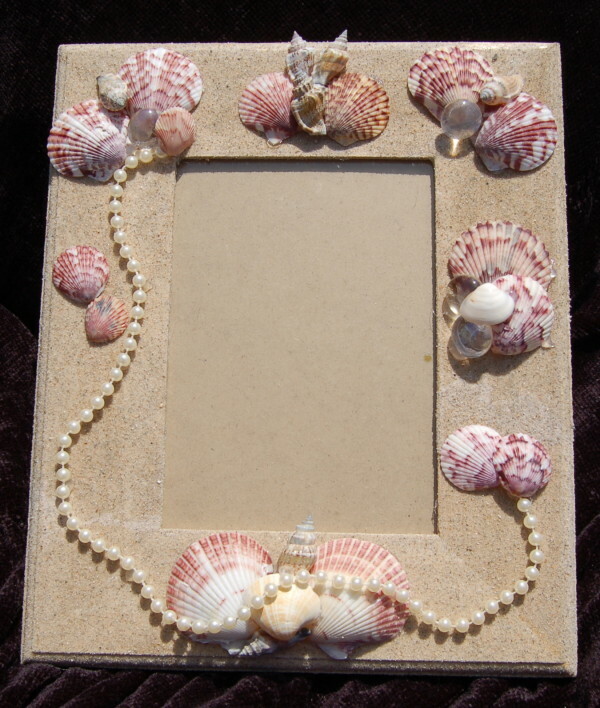 Seashells, buttons, broken jewelry – every crafter has tiny collections they can’t bear to part with, and this is a great way to finally display them. All you’ll need is a little hot glue and a lot of creativity. 11. 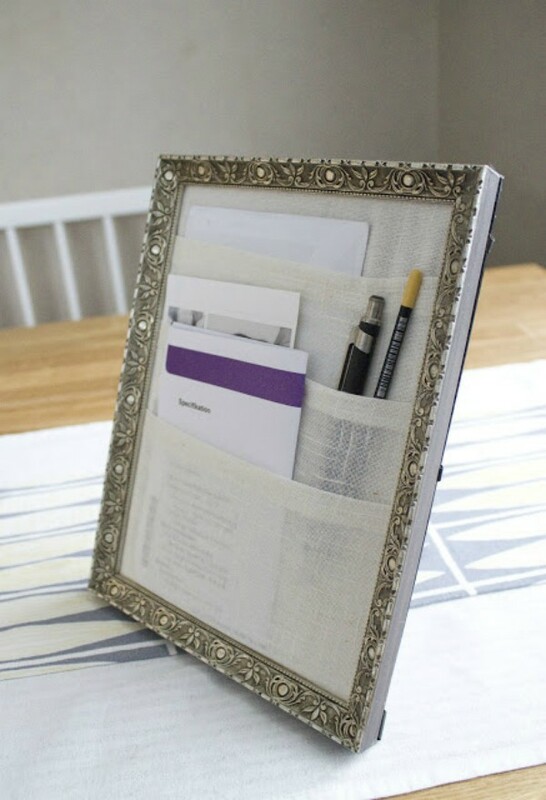 Upgrade your desk with an office organizer. It’s simple, stylish, and completely functional. Check out The Wishful Tinker to learn how to make your own. 12. Add some shelving space. Country Living has the directions to this truly unique shelving solution. 13. Never lose your keys again. Okay, maybe that’s an unrealistic promise, but having a designated (and adorable) place to keep them will definitely cut down on the number of times they go missing. Find out how here. 14. Display your favorite quotes. 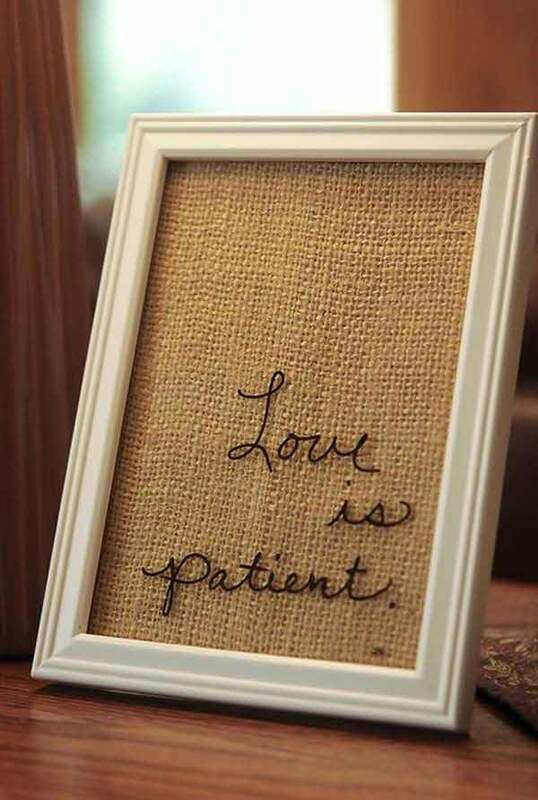 Whether you choose to do some stitching or write on the glass with a dry erase marker, this is a fun way to leave notes for your loved ones. Tidbits and Twine has that idea (and a whole lot of other cute stuff) here. 15. 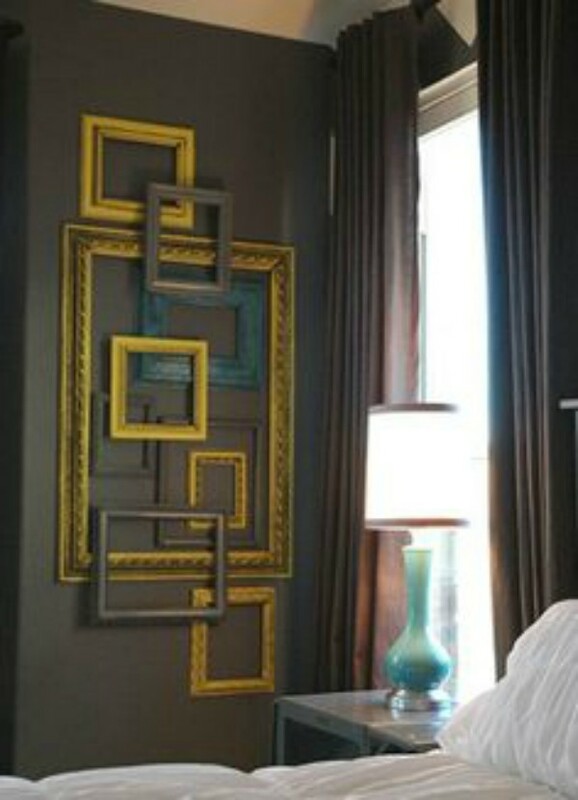 Layer frames for unexpected, but striking, wall art. 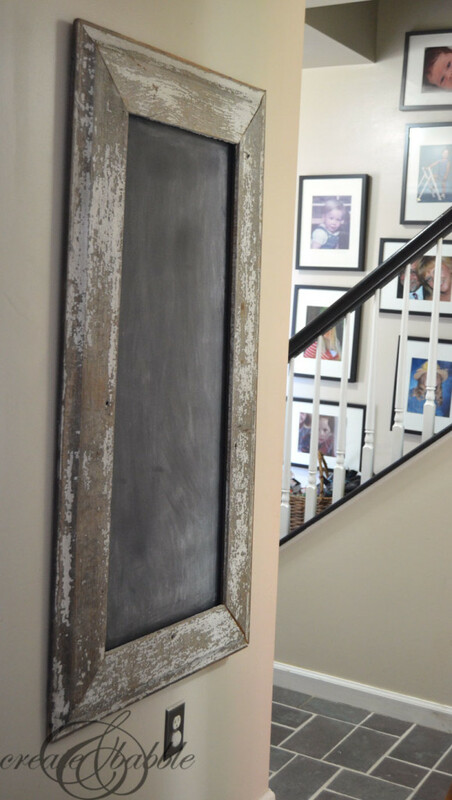 This layered “gallery” was made by Makely Home with old frames and spray paint. She even connected each piece so it could move to a new home or wall one day. 16. Keep track of your family’s schedule. Some fun paper and a dry erase marker are all you need for this adorable and handy DIY. 17. 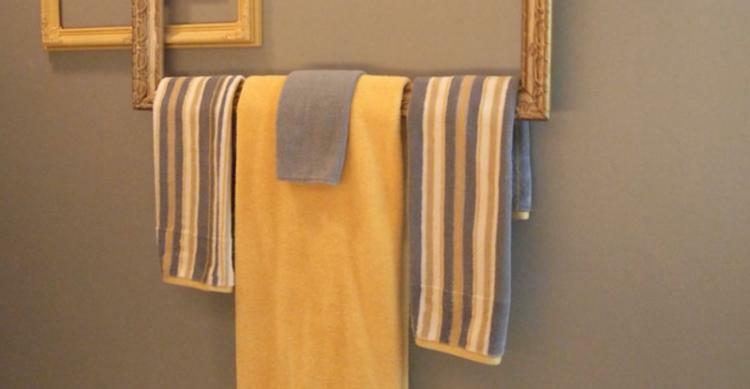 Say goodbye to your boring towel bar. This is one of my favorites! Everyone has a towel bar or hook – stand apart from the crowd with a towel frame that would make the Property Brothers jealous. Margo’s Junkin Journal has the details.